I want to thank Chris Templeton for this tape set he so kindly posted a couple of years ago. Over the past few days I have had endlessly satisfying listens, and I cannot get enough! Levi, Well thank you! I use that page as my portal onto the forum ( http://bb.steelguitarforum.com/viewtopic.php?t=260263&sid=5708b55f173d628e526069010e68b9fb ). Jerry plays immaculately. I went to Hawaii with Scotty, Mary, Margie Mays and her husband Don and probably half a dozen others. 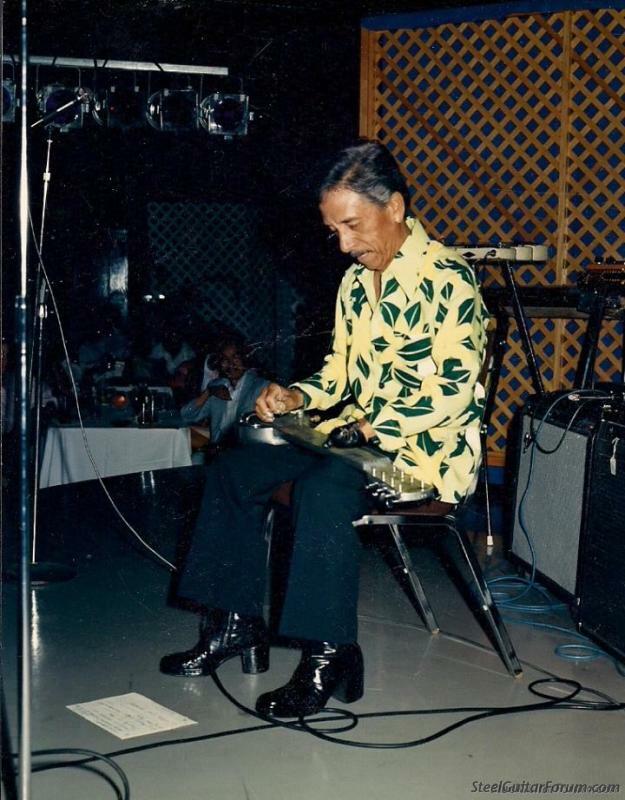 I went with Scotty & Co. in '85 & '86 and along with hearing Jerry at the Halekaulani Hotel's "House without a key", he put on an evening steel show each year. The second year, Bob Brozman played and absolutley tore the roof of the place. Scotty hired me to record the show on his Teac 4 track. I mixed it in the basement at Scotty's Music, and Scotty made tapes for sale. I wish I still had the set. There were two tapes. I have a collection of tapes I received after Bruce Murray's passing. He was known to George Lake, and I believe in trips from New Zealand to Hawaii in the 1980s and 90s he may have met other forum members who are still posting or reading. I don't get the chance to listen to my tapes very often, but I stumbled upon a tape that the Forum might be interested in. It is marked in Jerry's own hand: "Recorded at the Halekulani Hotel - Casey, Kalani, Myself" March 25, 1988. If I had the tape digitized, is there enough interest for me to post it on the Forum in the next couple of weeks? Would love to hear it Levi! Please post it Levi! Thanks for bringing this thread up too! Very amazing! This is why I love this forum and keep coming back, thanks for sharing Chris!